There are some historical figures that give out a siren’s call to literary types, luring them in and then dashing their hopes of genius on the rocks of their own creativity. Shakespeare, Marlowe and Byron have long drawn in the unwary who believe they can find their own light mirrored in the brilliance of others. Oscar Wilde is another who appears a figure ripe for drama, whose life can be used to both illuminate his own age and reflect upon our own. The problem with Oscar is that he is a man who created such a complete character of himself – set down in his writings and in the aphorisms that survive him – that anyone attempting to write about him needs to be able to match Wilde’s own wit or appear a pale imitation. The Picture of John Gray – a neat subversion of Wilde’s novel – has perhaps taken heed of the problems that Wilde’s formidable wit poses and tackles the subject at an oblique angle. C.J Wilmann’s play skilfully tells us something about Wilde without the man ever appearing; instead we hear the voices of his associates and as we learn about them, we see Wilde from a new perspective. It is a play with an Oscar Wilde shaped hole in the middle. It is a bold decision that runs the risk of creating a personality vacuum at its centre – like rewriting Hamlet and focusing entirely on Horatio, Laertes and Ophelia. However it makes the point through his absence that their lives – John Gray, Bosie and all – are, whether they like it or not, indeed whether they particularly care for him or not, irrevocably shaped by him. Wilmann succeeds in demonstrating some of Wilde’s charismatic force without him ever being present. His personality is what holds them together and they continue to revolve around it and, terribly, it is what pulls them apart. The destruction of Wilde destroys something in each of them and forces their transformation. Wilde is akin to a tropical storm – exotic, sublime and hypnotic- and they are caught in its eye. The innocent optimism that comes from the still landscape – captured in Bosie’s poem of the love that dare not speak its name – is but a shimmering mirage and too late do they realise the impossibility of escaping the destruction that Wilde has brought upon them. However Wilmann avoids making his characters into ciphers that purely exist to reflect Oscar; they are impressively rounded, living and breathing figures. Each has a clear and distinct personality, and the play works hard to balance the roles so that across the five there is not an obvious weak link. He also sidesteps the potential trap of an inexperienced playwright of having an obvious favourite within his characters. It is not unusual to become more attached to one character above all others and this can lead to an unbalanced play where scenes become forced during one role being centralised without justification. In The Picture of John Gray there is a scrupulous balance to the roles and each part plays a distinct function in providing an overall tonal harmony. The dialogue is impressive and if it is too much to expect to match Wilde for wit, it is a relief that it doesn’t fall far short and there are a number of snarky one-liners that provide strong laughs from the audience. 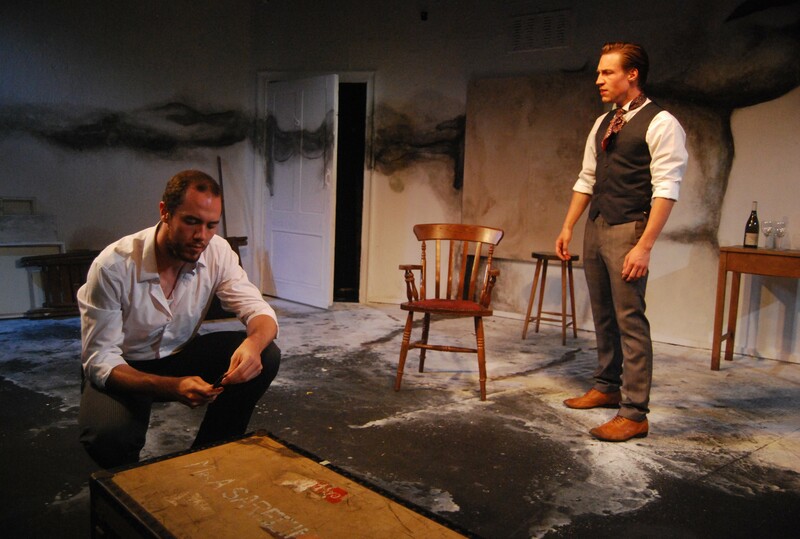 The play contains the rhythms of a drawing room comedy whilst also providing the heart and reflection of a more modern play; a difficult balance well achieved. From a young and relatively inexperienced cast we seem some impressively strong, assured performances. Characters are inhabited with an intelligent honesty and there is a sparky dynamic between them that is much needed to ensure that the comic elements flow with verve. Patrick Walshe McBride is excellent as John Gray; he has the biggest and most difficult transition as he moves from a conceited artist entirely transfixed by Wilde’s attentions – hideously gauche and with the vanity of the self-obsessed – into someone who is eventually hardened under the shadow of Dorian Gray. Wilde gave him an eternity but the play follows his journey to towards an eternal peace he can own for himself. The ‘Charles’ (Jordan McCurrach as Shannon and Oliver Allen as Ricketts) work well as the solid core of the play; they have an easy, natural dynamic that makes their relationship that much more believable – and their fall that much harder to bare. They, above all, could see the risks and could sense the coming storm and yet loyalty caused them to stick with Wilde despite knowing the dangers of associating with those that refused to accept the pragmatic realities of their world. 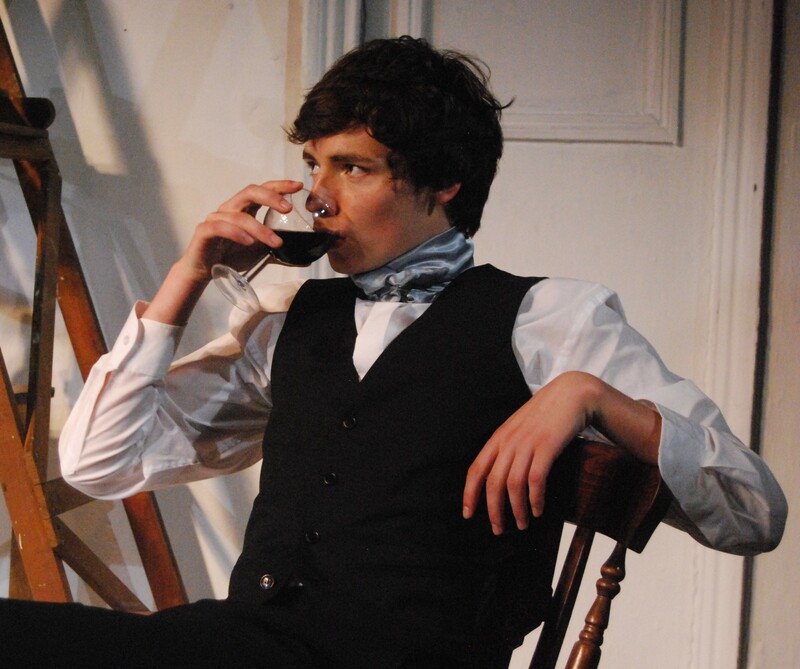 Bosie (Tom Cox) is the one that falls closest to cliché but his performance is one that the play needs. He injects a spirited energy through the means of his ebullient charisma – it is a natural portrayal of the unguarded arrogance of the privileged. He carries himself with a self-confident ease born out of the assumption that his position protects all – the others, each in their own way an outsider, are wary of such a man and the destruction that he can bring upon them. The Picture of John Gray proves to be a most unexpectedly pleasant surprise; a well-written new play, that is carried by strong performances throughout the cast and simple direction that doesn’t threaten to overwhelm the whole. Wilmann finds a new perspective on a story that has been covered many times over and presents a neatly ambivalent portrayal of a man whose notoriety and brilliance has often cast those around him into the shadows.